Looking for that new groovy sound? 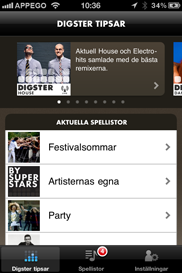 Try Digster, an international music service from the worlds largest record company, Universal Music Group. When deciding to make an app of their concept, Appego was their natural choice of partner. 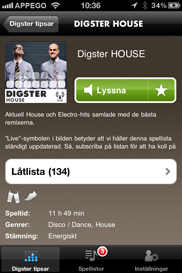 Using Digster for iPhone, you always get up to date, quality music, categorized by genre, mood and activity, all in your phone. 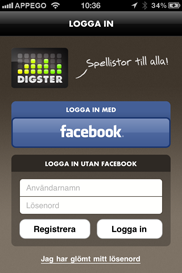 Digster for iPhone immediately became the most downloaded music app (more than Spotify) when launched.